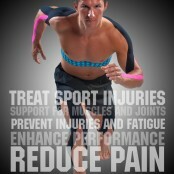 RockTape is the most technologically advanced athletic tape in the world. Like all athletic tape, RockTape is great for wrapping knees, wrists, and elbows. What sets RockTape apart is the combination of elasticity, tighter cotton weave, and greater adherence to skin, promoting greater overall support. RockTape also promotes inflammation control due to Kinesiology, by lifting skin from fascia muscles, this extra space allows for better arterial blood flow, decreased pain, and faster muscle healing and alignment. 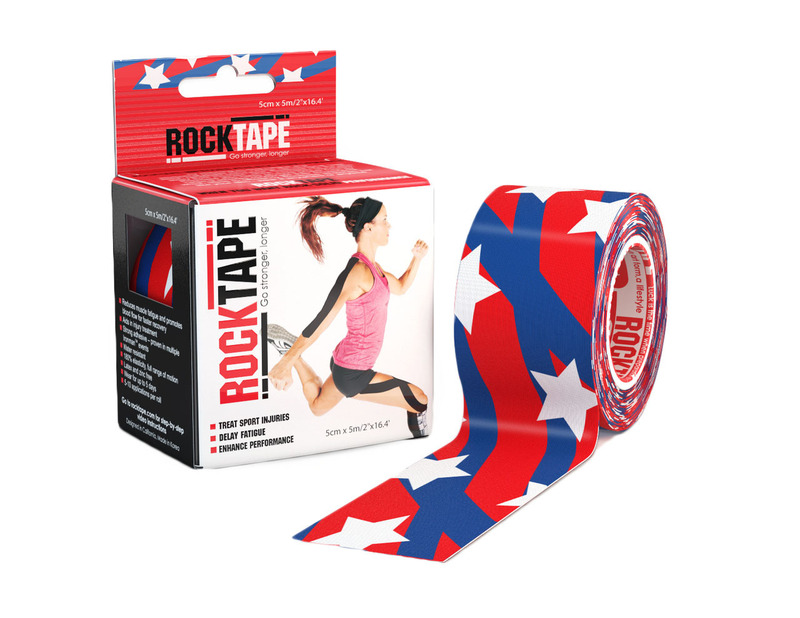 RockTape’s elastic support, acts as a secondary set of tendons promoting limbs to return to position with less effort, and keeping limbs supported during workouts and competitions. 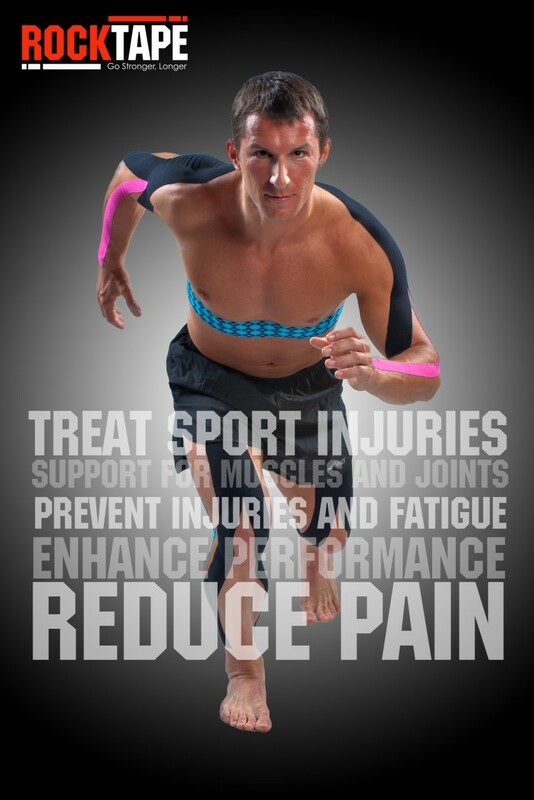 RockTape’s unique one ways stretch bias, supports muscles in a highly directed manner. RockTape taps into athletes sensori-motor system, and increases awareness of body movements during any type of athletics. 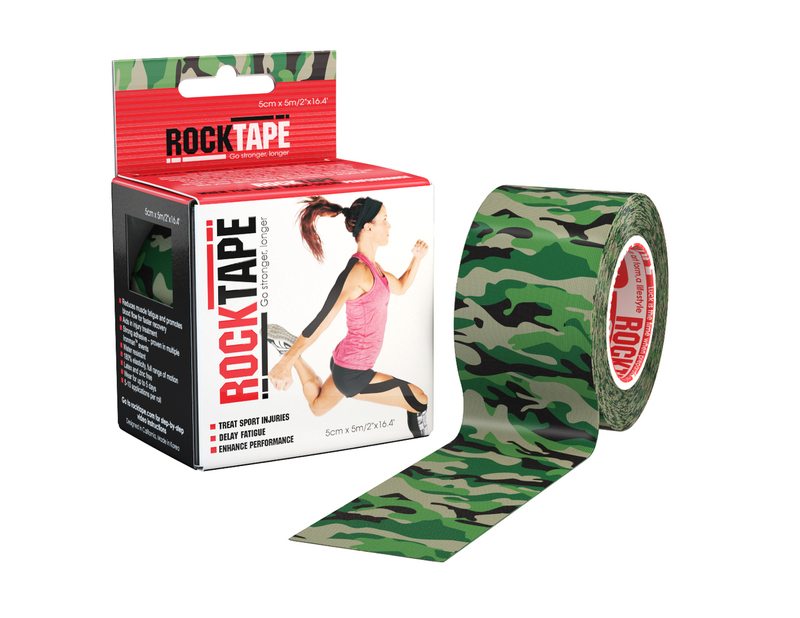 The extra adhesion lasts up to 5 days, unlike any other athletic tape which is discarded after only one workout. RockTape is used by thousands of top tier weight lifters, competitive CrossFitters, and bodybuilders, to increase performance and decrease pain. 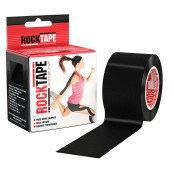 Check out this fantastic RockTape review on Breaking Muscle! RockTape is used by thousands of athletes around the world when “power-taping”, using RockTape to create a combined fascia through a particular part of the body. Power taping, assists muscles in returning to their original position faster, this is essential for athletes requiring a slight edge in quickness and speed. 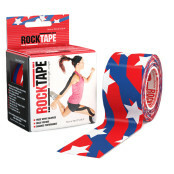 Be the first to review “RockTape” Click here to cancel reply.